My friend, Ian (IG: @altitude_alchemist), and I started our hike to Eagle Peak from the trailhead at about 7:30 am on a Tuesday morning. The sky was overcast and the air was cool, but not cold. Weather forecasts were predicting temperatures in the low to mid 80s by late afternoon, so we knew it was going to warm up before long. Having researched the hike ahead of time, I knew to expect some light bushwhacking and rock scrambling. 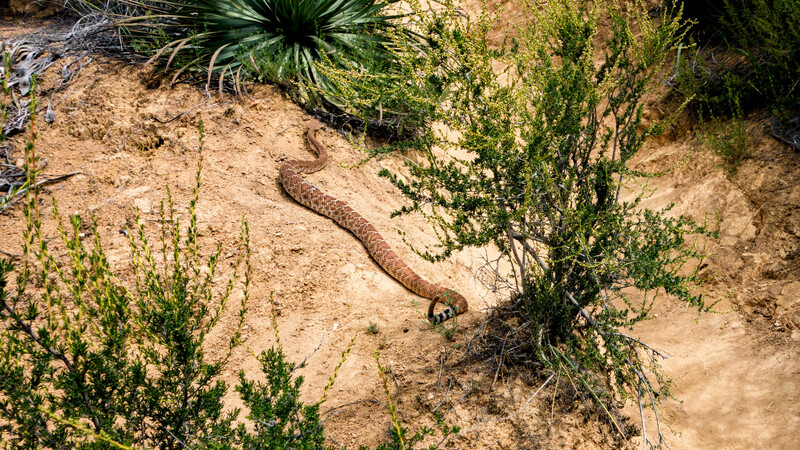 It’s also early spring and I have already had an encounter or two with rattlesnakes on the trails, so I decided to go in prepared. For added protection against all the sharp and pointy things we may encounter while bushwhacking, I wore long trekking pants and longer, thicker socks than I would normally wear. I also brought gloves to protect my hands should we encounter any significant rock scrambling. And to offer a little extra sense of safety, I brought a pair of trekking poles to act as a snake finder while rock hopping and cutting through brush. About a mile in from the trailhead, we reached the junction for Three Sisters Falls where a post in the trail acts as a cryptic trail sign pointing hikers in the direction of the falls. To the left, the trail leads down and into the valley where you will find Three Sisters Falls. Continue straight past the sign and you will eventually reach Eagle Peak. 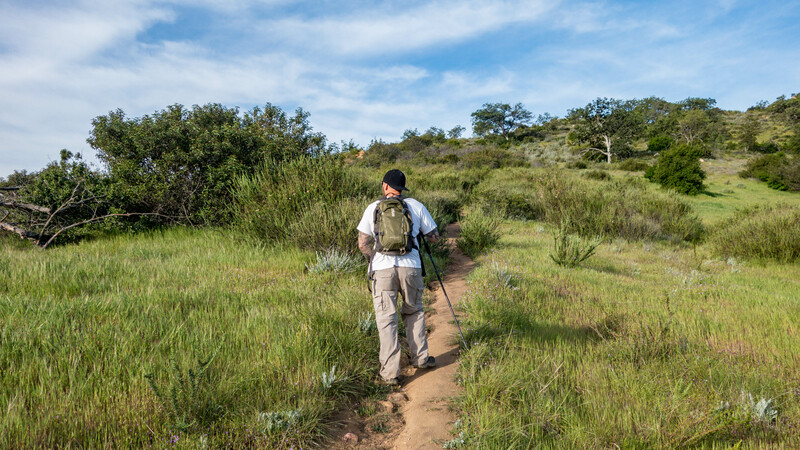 We were pleasantly surprised to discover that the bushwhacking would be minimal on this hike. 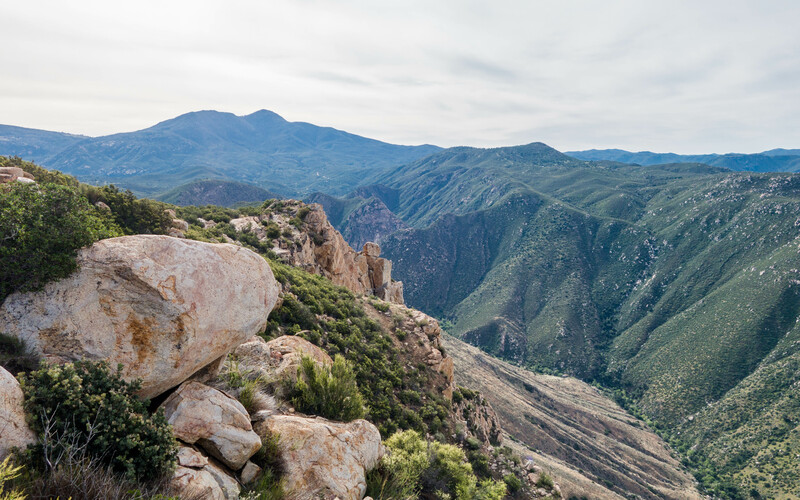 Although the trail to Eagle Peak is narrow and surrounded by dense brush, it is well-traveled enough that it is easy to follow. The trail follows the contour of the mountain as it works its way toward the first of several false summits before eventually leading to Eagle Peak. There is some elevation gain, but it’s fairly minimal, which makes this hike one of the easiest I’ve done to date on the 100 Peaks list. As we worked our way towards the summit, we found several south facing lookouts where we would stop to take in the views and assess our progress. A couple of the lookouts had large boulder structures on the ridge that gave you unobstructed views of the valley below. After several stops we eventually reached the summit of Eagle Peak where we found a couple of survey markers letting us know that we had made it. 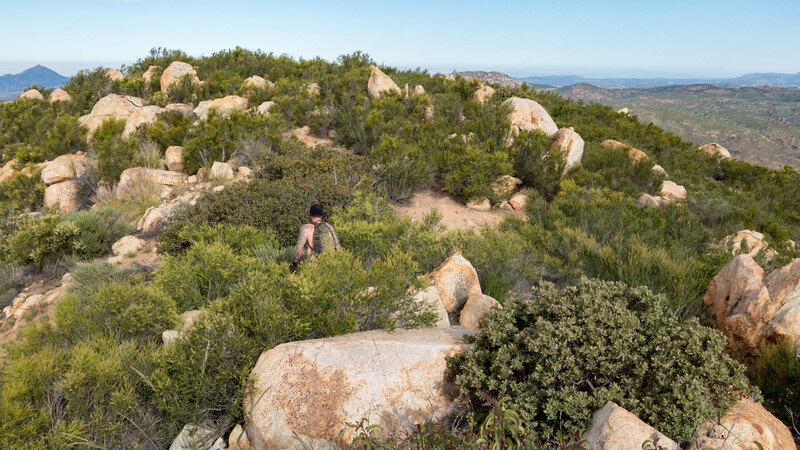 The summit itself is broad and unremarkable, but if you explore its perimeter you will find several spots where you can enjoy a clear view in any direction. Although it was hazy and overcast the day of our hike we were able to identify landmarks in every direction. Looking north, Palomar Mountain was clearly visible. 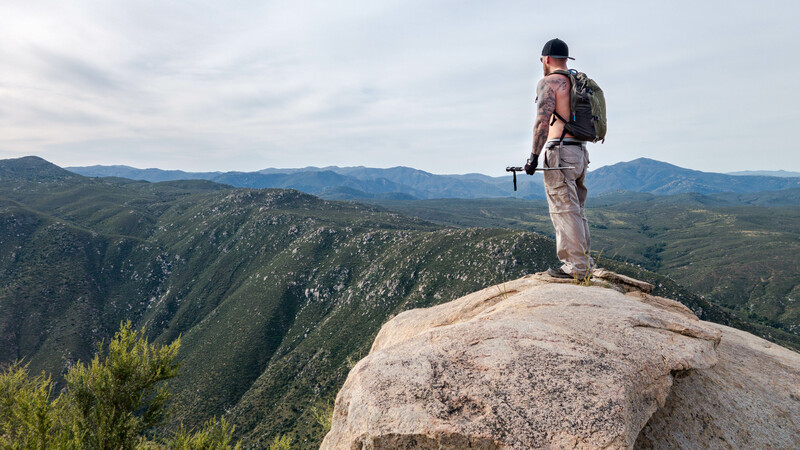 To the east, we could identify North Peak, Middle Peak and Cuyamaca Peak. Viejas Mountain was visible to the immediate south, with several other identifiable peaks behind it. 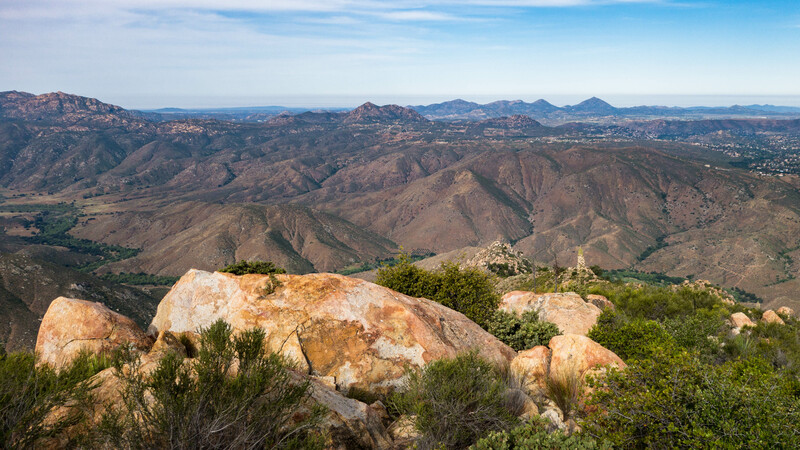 And looking west beyond El Cajon Mountain, Mount Woodson and Iron Mountain stood in the distance. 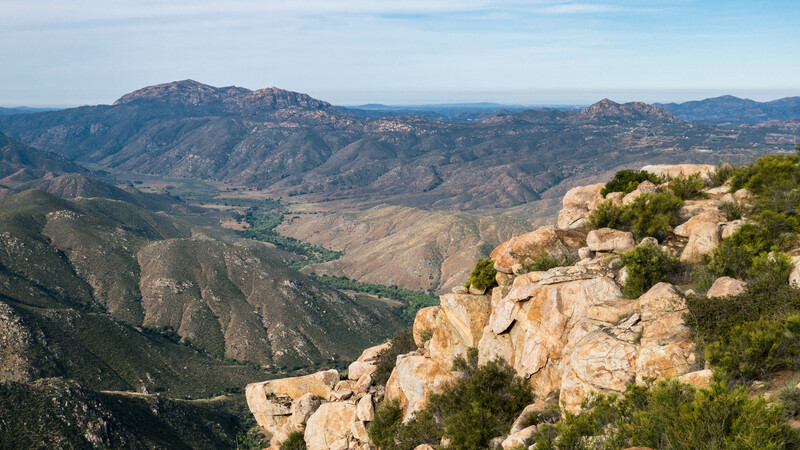 Eagle Peak is a fun, relatively short hike with rewarding views that won’t leave you aching for days. The trail is easy to follow and can be hiked by itself or as an add-on hike when hiking Three Sisters Falls. It’s not nearly as popular a destination as Three Sisters Falls, and a lot of people don’t even know the trail is there, so it’s a great hike if you’re looking to escape the crowds. 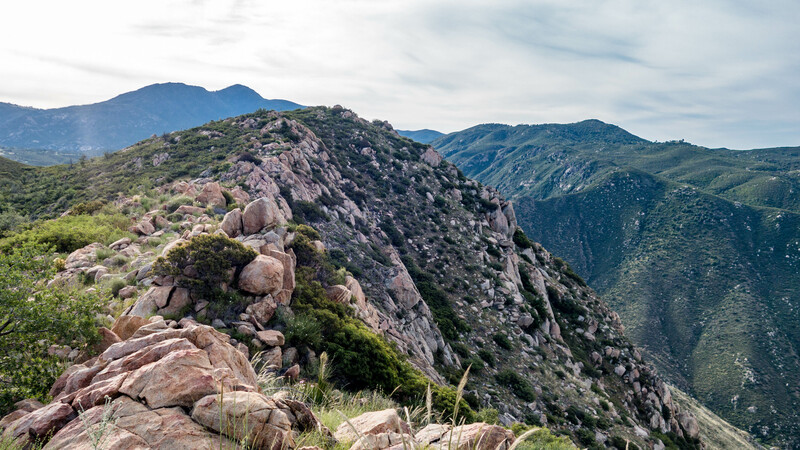 Eagle Peak is a great hike for kids and dogs alike, so pack up the family and head to Eagle Peak for a fun day of peakbagging. If you liked this article, please comment, like and share it with your friends. Want more like this? Be sure to subscribe and you’ll be the first to hear when I publish new articles or videos.